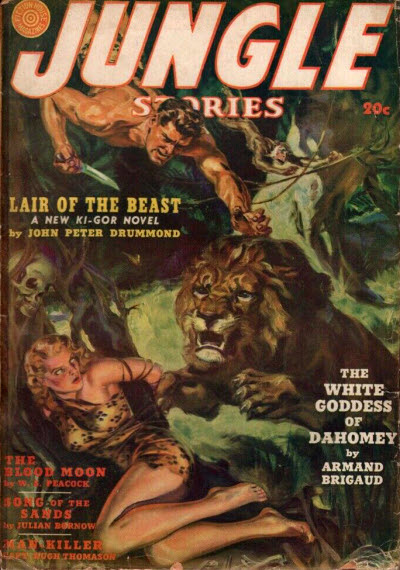 3 · Blood-Priestess of Vig NGa [Ki-Gor] · John Peter Drummond · na; not the same as the story of a similar name in the Winter 1951/52 issue. 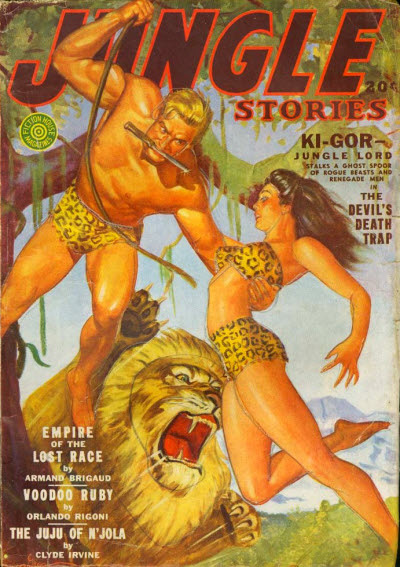 3 · The Devils Death Trap [Ki-Gor] · John Peter Drummond · na; not the same as the story of the same name in the Fall 1951 issue. 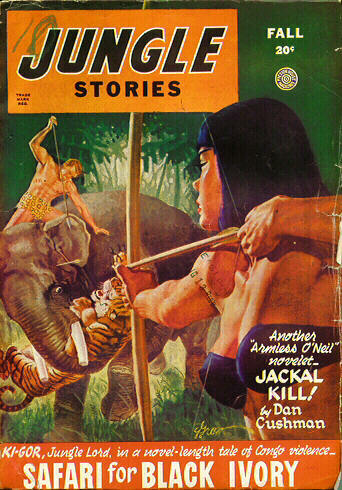 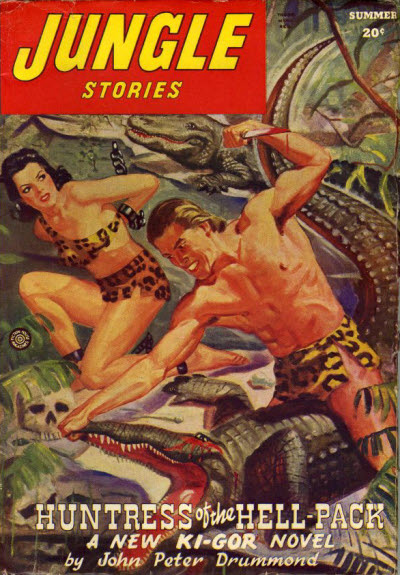 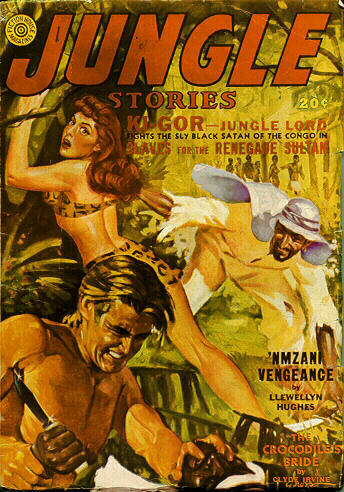 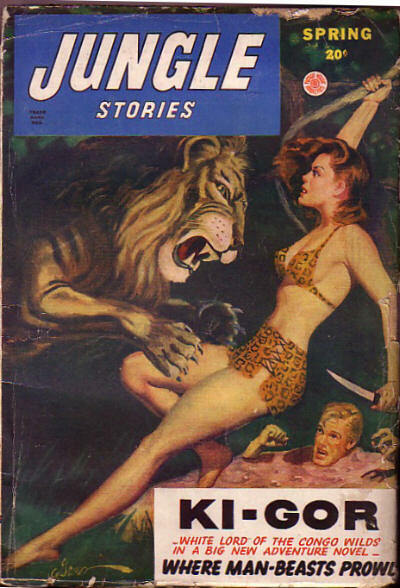 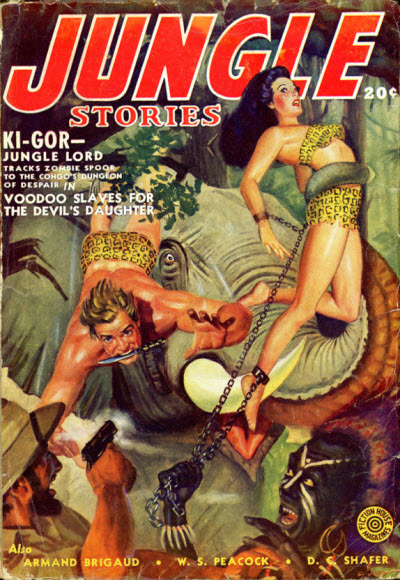 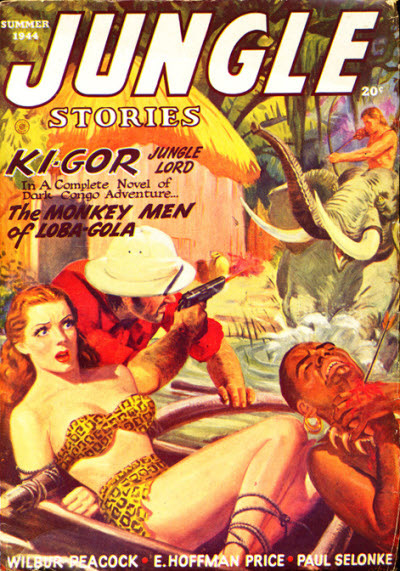 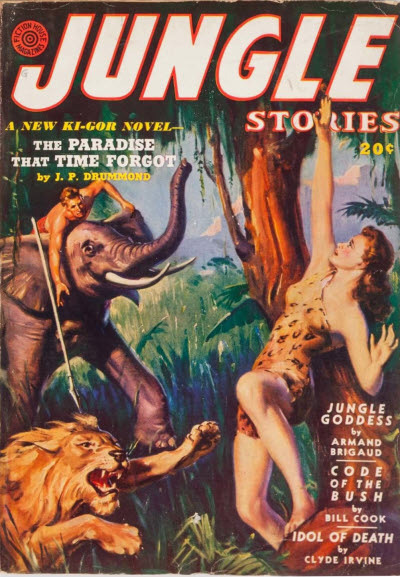 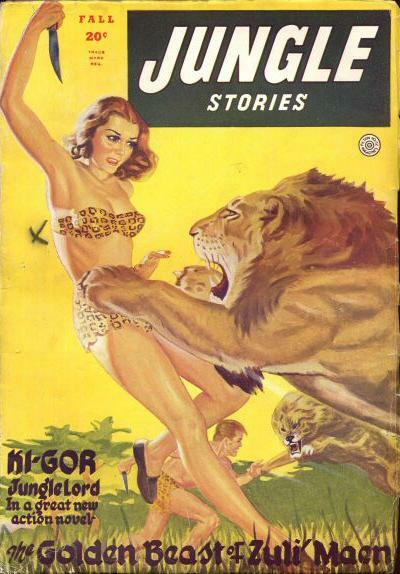 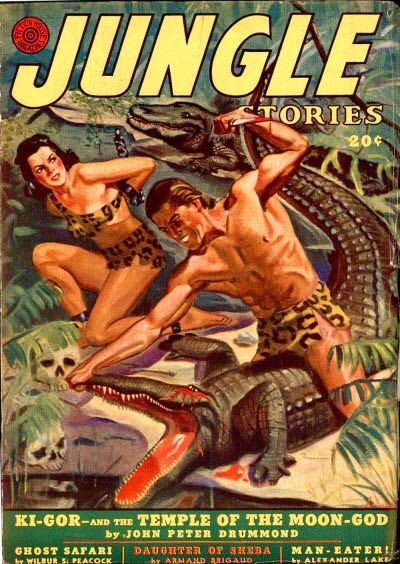 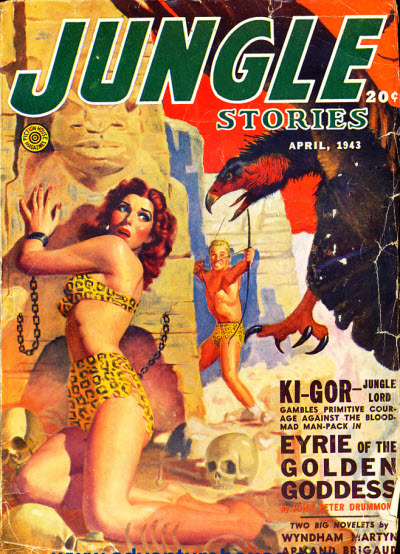 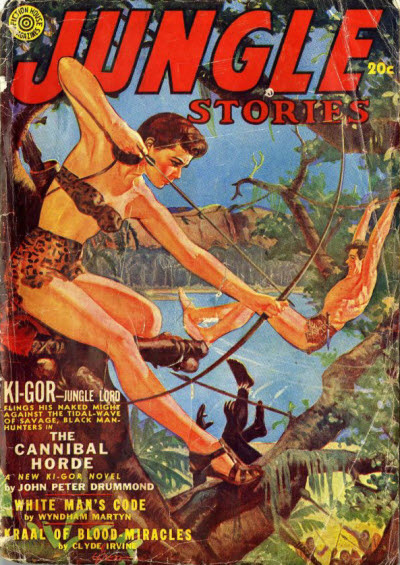 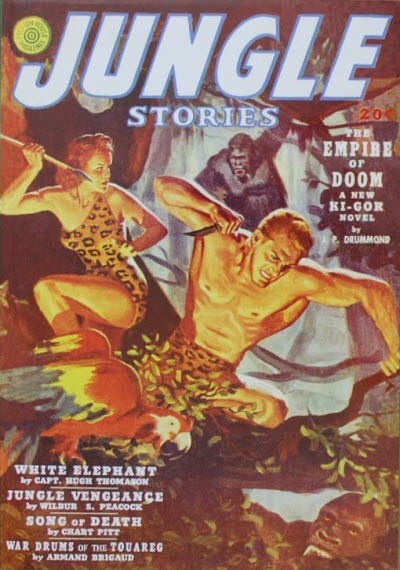 3 · Voodoo Slaves for the Devils Daughter [Ki-Gor] · John Peter Drummond (by Robert H. Turner) · na; not the same as the story of the same name in the Fall 1950 issue. 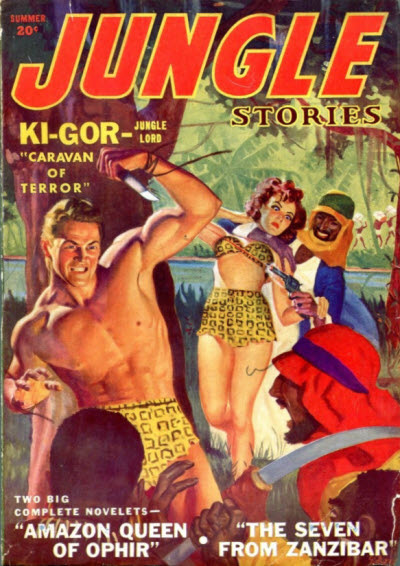 3 · Caravan of Terror [Ki-Gor] · John Peter Drummond · na; not the same as the story of the same name in the Winter 1952/53 issue. 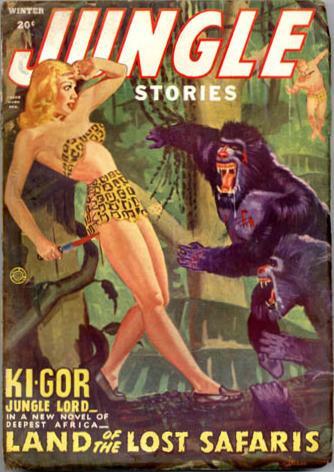 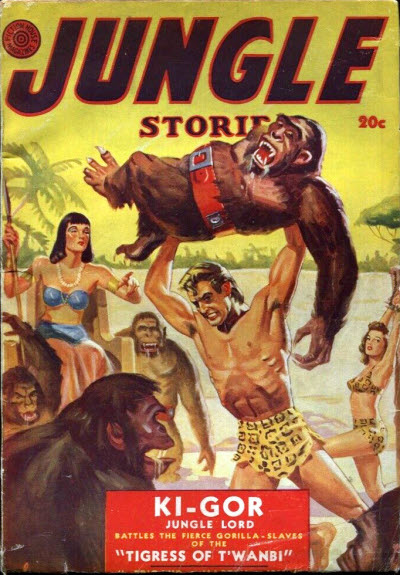 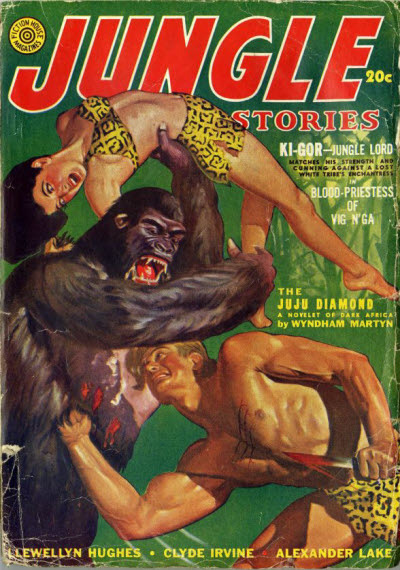 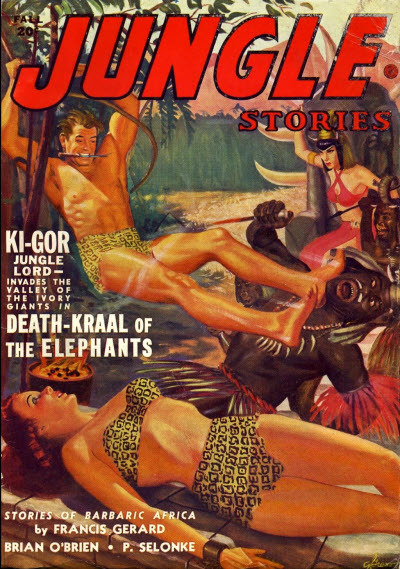 2 · The Monkey Men of Loba Gola [Ki-Gor] · John Peter Drummond · na; not the same as the story of the same name in the Spring 1951 issue. 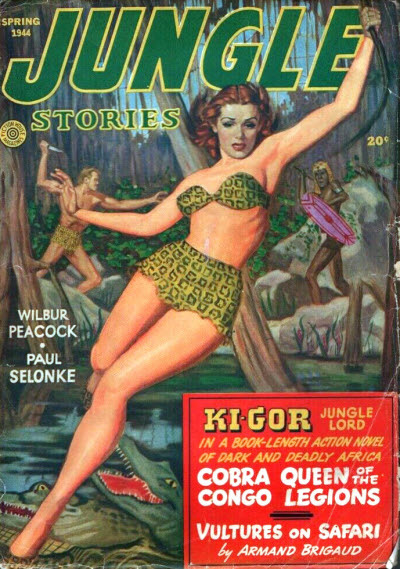 2 · The Silver Witch [Ki-Gor] · John Peter Drummond (by Wilbur Scott Peacock) · na; later revised in the Spring 1953 issue. 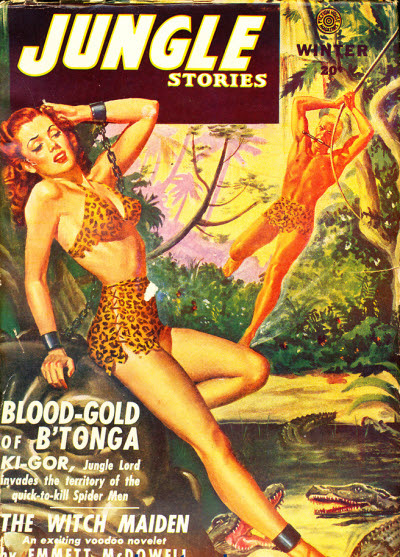 75 · Death-Gift of Baluda · John Starr · ss; might be Death-Gift of Saluda. 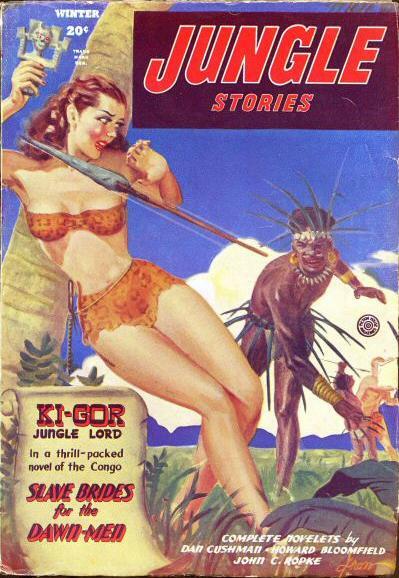 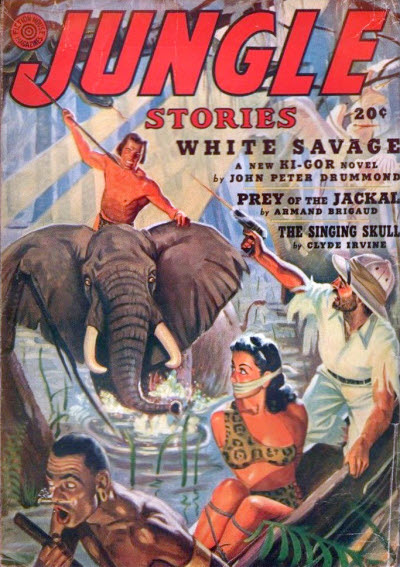 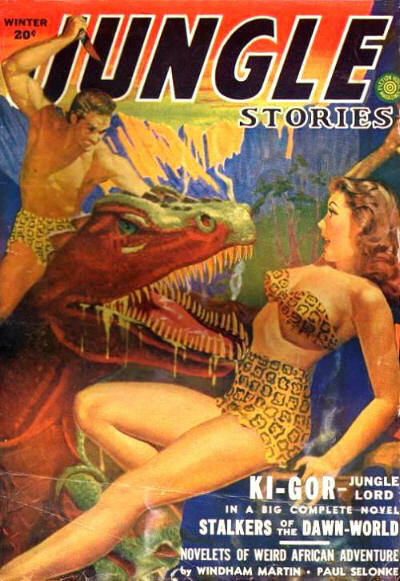 2 · The Monsters of Voodoo Isle [Ki-Gor] · John Peter Drummond · na; not the same as the story of the same name in the Fall 1952 issue.